There are some things you come across, pick up on a whim and then, wonder why you’d never heard of it before, because it’s so good! Well, let you not make the same mistake I did, because you NEED this SU:M37 Miracle Rose Cleansing Stick. Ok, I say need, you probably only really want it. I picked this up on a bit of a whim one day, when I discovered that iHerb now carries a small selection of Korean skincare products. It’s a small selection and perhaps, some items aren’t as cheap as they are on other sites, but I browsed nonetheless. That’s when my eyes fell on this very interesting product – a cleansing stick. I don’t know a lot about SU:M37 as a brand. All I know is that it is Korean, and from what I can tell, it is a mid-high-end brand. I don’t know much else about the brand or any of the other products it has, except for this one Miracle Rose Cleansing Stick. As the name implies, it has a slight rose scent, and is like a stick of soap, if I could describe it as such. It has a slight balmy feel to it, rather like a lip balm and because the whole packaging was in Korean, I had no idea how to use it when I first got it. The first day I used it, I used it on wet skin, after my first cleanse. I drew on a few lines on my face, and then lathered it up (Oh yes, it lathers up!) and rinsed it off. It turned out that this is the recommended method on how to use it. But I’m going to tell you that I hate using it this way. The reason I hate this method is because the stick gets all soft and gunky. Imagine if you will, soap that gets all melty and weird after use. It feels like that. So, I stood it in the bathroom with the cap open so it could dry out. On left, I have swiped the dry skin on the back of my dry hand. On right, I added some water, rubbed my skin and produced some lather. The bits that you see there are rose petals. 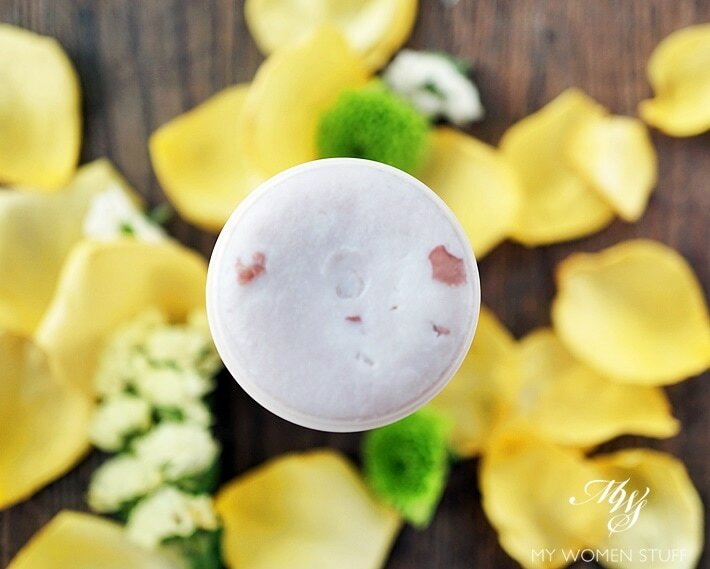 Apparently, this product is made of 90% natural ingredients, and SU:M37 included the crushed rose petals into the balm mixture. They don’t really serve much purpose, and my stick doesn’t seem to have a lot of it. I’ve seen some pictures where there appear to be more crushed petals. What I like however, is how it makes my skin feel after washing my face. My skin feels so soft and clean and smooth and not dry at all! I’ve stopped using foaming cleansers for a while now, because they do tend to dry out the skin, but this one doesn’t. I don’t use it every day but I wouldn’t mind it. I will have to say that I only use it in the evening as the only cleanse (if I haven’t been out or have no makeup on for the day) or sometimes as a second cleanse after first drying my face between washes. In the morning, I prefer a cream cleanser, but there’s nothing to stop you using this twice a day if you prefer. I do not know how this will function as a makeup remover or first cleanse. I personally would not use it for that purpose, as I think that products have their own purpose. For makeup removal, I use something that will remove makeup. This operates strictly as a cleanser for me. And what a great cleanser it is too! The SU:M37 Miracle Rose Cleansing Stick is a solid cleanser in a twist-up stick form. You can use it on wet or dry skin although I prefer using it on dry skin so it doesn’t get gunky and mucky. It cleanses my skin without stripping it, and makes it feel lovely and soft and smooth. I love it – just don’t get it into your eyes. It stings! I have seen different ingredient lists online for the SU:M37 Miracle Rose Cleansing Stick as they’re translated from Korean, but I’ll show you the one I got off iHerb. 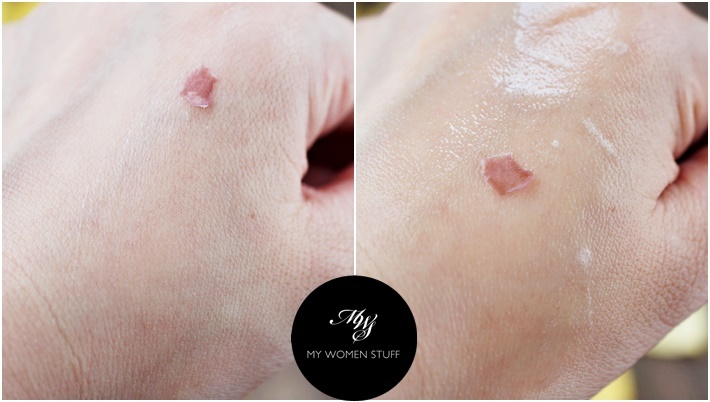 Have you tried this cult product? 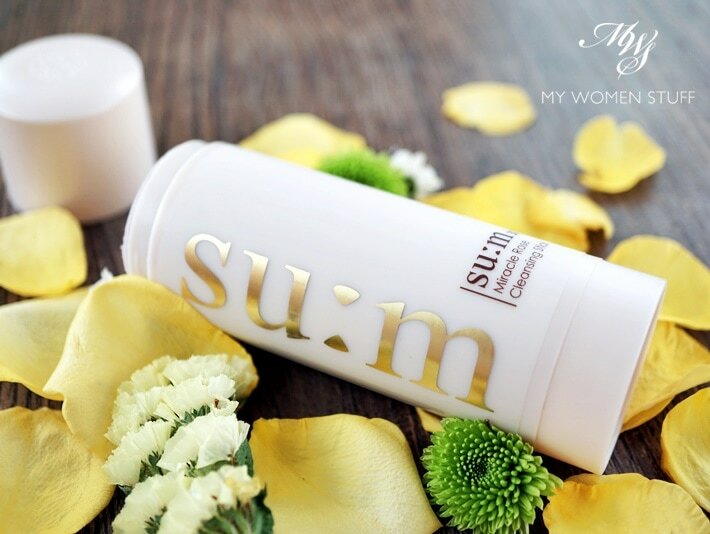 Have you come across a cleansing stick before or anything else from SU:M37 worth trying? Sounds nice! I’ve used a Japanese/Thai product by Ruam Ruam that sounds similar. They like using a net to lather up a really thick foam. Smells great and great for travelling! Lol, guess it doesn’t translate well! Sounds super handy for travel. I can vouch for their portability! Didn’t realise it’s a thing, but it’s a good trend! I did read however that most of them tend to be drying, as they are more soap-like. Try this if you can get your hands on it. Very nice! Thank you for the review! I’ve been staring at this stick for far too long to be considered sane 🙂 How long do you think it will last, with your method of using it? Haha! To think I’d never even come across it till now! For me, I’d say it’s easily last me a few months using it just once a day. You don’t use very much and if you don’t get it wet too often, it won’t ‘melt’ so will last longer! COOL!! I want it! I will have to look around for it! You find such neat things! That’s what happens when you have a roving eye and are a skincare addict! LOL! Some Kbeauty online stores sell it, so take a look or use iherb hehe. I’d love to hear what you think of it! Ah how interesting! Got me all curious, that’s for sure. I’m going to look for this even though I don’t need a cleanser right now. LOL! Do we ever? 😛 There are a few online sites that sell this, so browse around. I don’t know if any of them are local though! Hi Paris, does it leave a film over your skin after you rinse it? To learn more about Su:m37, you can try snowwhiteandtheasianpear (not affiliated) or the Asian beauty sub Reddit. I will use this until I die or they stop making it – whichever comes first!! I bought myself 3 when I went to South Korea last month. It’s heavenly. Haha! It’s good stuff. Definitely worth keeping in one’s skincare stash! Perfect travel cleanser too! I was so excited to try this cleanser, and was so sure that I would love it, and my skin would love it too… since my skin is like an impenetrable fortress, really nothing makes it irritated or break out, I thought I would be safe. I bought 2 of these sticks (promotional sale). Only to realize after 2nd use that my skin turned incredibly tight, dry and irritated with angry red welts. (I tend to have combo/oily skin and not too many products dry me out). This was too bad, because the scent was INCREDIBLE. I ended up using it as a hand soap. A very expensive hand soap. sigh.